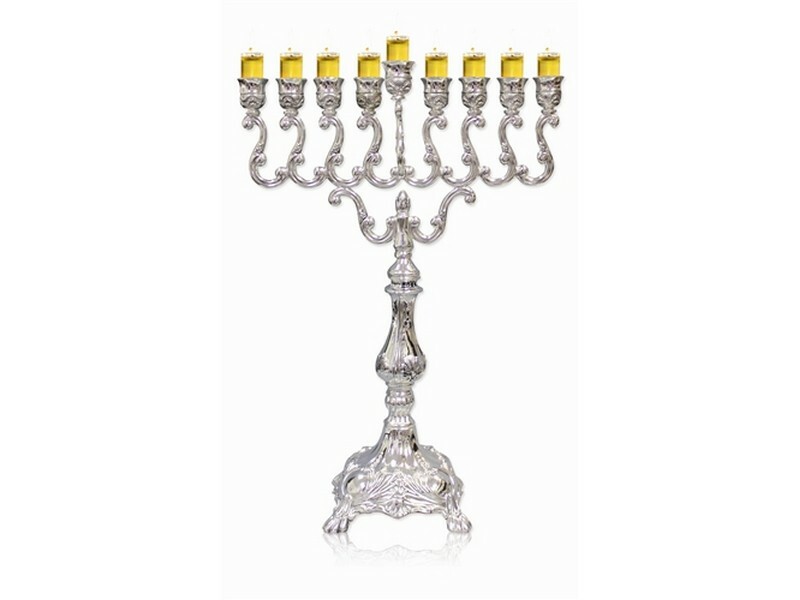 This tall silver plated Hanukkah menorah has the classical and traditional glamour at an affordable price. With its elegant pedestal set on four decorative legs, all the way up to the candleholders, this menorah is a great looking one. The candleholders on this menorah are suitable to adapt glass oil cups.